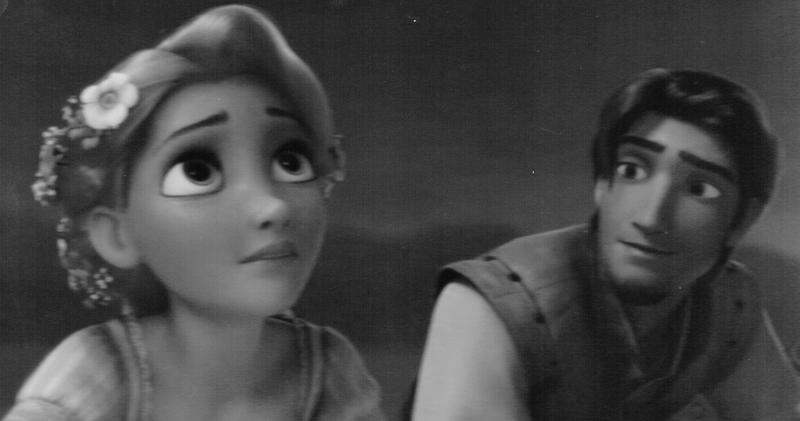 In the delightful movie Tangled, Disney’s recent animated retelling of the classic tale of Rapunzel – about the girl with the magical and beautiful uncut hair – there’s a scene where Rapunzel is sharing a quandary with her new friend, Eugene. Every year, on the night of Rapunzel’s birthday, she has observed from her bedroom window mesmerizing floating lights in the sky. She doesn’t know where the lights come from and has never known why they appear each year on the same night. Rapunzel has never been able to know these things because she has lived as a captive of the woman claiming to be her mother. Never allowed to leave the confines of the tower in which Rapunzel has lived all of her life, she constantly wonders about the outside world and wishes she could solve the mystery of the lights. Of course, Rapunzel is not aware that she had been kidnapped from the nearby kingdom’s royal palace as a little baby. She has no idea that she is really the long-lost sole princess, the only child of the kindly king and queen. So, she also doesn’t know that the idea of the thousands of glowing lanterns about to rise into the night sky was created in the wake of her abduction; as sort of an annual beacon to show the lost girl the way home… and as a symbol of hope, letting her know that the kingdom has not forgotten its absent princess. Rapunzel has thus far lived her entire life hidden and secluded, never able to leave the tower. Over the years, her “mother” repeatedly explained to Rapunzel that the world beyond their concealed sunny sliver of land deep in the forest is a harsh place; too dangerous for Rapunzel. The girl is always assured that as long as she remains in the tower, she will be safe and protected. Longing for answers and for adventure, Rapunzel has long dreamt of being able see the mysterious lights close-up and in-person, and to know why they rise in the night sky every year on her birthday. One day, the day before Rapunzel’s 18th birthday, a wayward stranger, a thief named Eugene, happens upon Rapunzel’s tower, climbs the high stone column into her dwelling, and discovers the girl. After learning that she has never left the tower, Eugene offers to take her to where they can see the lights. After successfully evading pursuing soldiers, greedy cutthroats and Rapunzel’s “mother”, Eugene makes good on his promise. The big night arrives. Eugene and Rapunzel are sitting in a small boat a short distance off the shore within full view of the small kingdom, its homes and businesses, and the magnificent palace crowning the top of the hill. Unaware of the actual purpose of the lights, Rapunzel anxiously waits for the first of thousands of sparkling yellow lamps to be lit and gradually make their graceful upward flight into the starry night. Rapunzel: I’ve been looking out the window for eighteen years dreaming about what I’d feel like when those lights rise in the sky. What if it’s not everything that I dreamed it would be? Eugene: Well, that’s the good part I guess. You get to go find a new dream. So, there it is. Eugene just highlighted one of the ways dreams are not only different than, but better than, goals: they’re fluid. They can easily be adjusted, changed and renewed. Dreams are intrinsically tied to our imagination and they aren’t so rigid and timeline specific that it’s considered a setback if they don’t come about exactly as visualized. Also, dreams are much more a part of us than goals. They’re not unlike the countless skyward floating lanterns depicted in the scene above. We were all created to be heirs of another, infinitely better kingdom and there is often an aspect of many of our best dreams that were planted inside of us in order to remind us of a better home and a hoped-for better time. Don’t set goals. Dream. When a dream comes true, or if it becomes necessary to let it go, don’t mourn the loss. It’s not a loss. You get to go find a new dream. It’s so important to believe that you are an heir of better things and that no matter how badly you may have lost your way, it’s possible to dream your way back. Know that the kingdom of your dreams has not forgotten its lost prince or princess. Such a beautiful observation by you & Eugene. I love that you said dreams are fluid, evolving. Unlike goals, that you cross off a list only quickly to replenish, I feel that with this varied viewpoint, dreams can be thought of more as unfolding facets of the original dream. Something to be added to the greater picture…something to be built upon. Your words are always thought-provoking!